This BioProvince (as defined by Armen Takhtajan) embraces the eastern Himalayas above about 1000 m and includes eastern Nepal, Darjeeling, Sikkim, Bhutan, a large part of the Assam Himalayas and the extreme southeastern part of Tibet. In the west the spectacular Kali Gandaki River Gorge in central Nepal acts as a biogeographical barrier between the Eastern and Western Himalayan bioprovinces but the eastern border of this BioProvince is less well defined. The Himalayas were created when the northward-drifting Deccan continental plate collided with the Eurasian plate during the Cretaceous period. The climate is characterized by cool summers and chilly winters, and is heavily influenced by the northeast monsoon. In winter most of the precipitation falls as snow. Despite being one of the youngest floras in the Eastern Asiatic Region, it supports at least four endemic genera (Biswarea, Bryocarpum, Edgaria and Paroxygraphis) and a considerable number of endemic species. It is also a biodiversity hotspot for rhododendrons, oaks and primulas. For example, Bhutan has more than sixty species of rhododendron. The BioProvince also provides a haven for numerous alpine species and represents the world’s richest alpine flora. It is also thought to include the highest growing vascular plant in the world - the cushion forming Arenaria bryophyllum but this may have been exceeded by himalayan endemic Christolea himalayensis in the Western Himalayas (see Western Himalayan BioProvince). The flora appears to be derived from the dispersal of plants from the more ancient mountain ranges of Assam, Burma and China, and has affinities with the North Myanmar and Sikang-Yunnan bioprovinces as well as the Khasi-Manipur BioProvince. 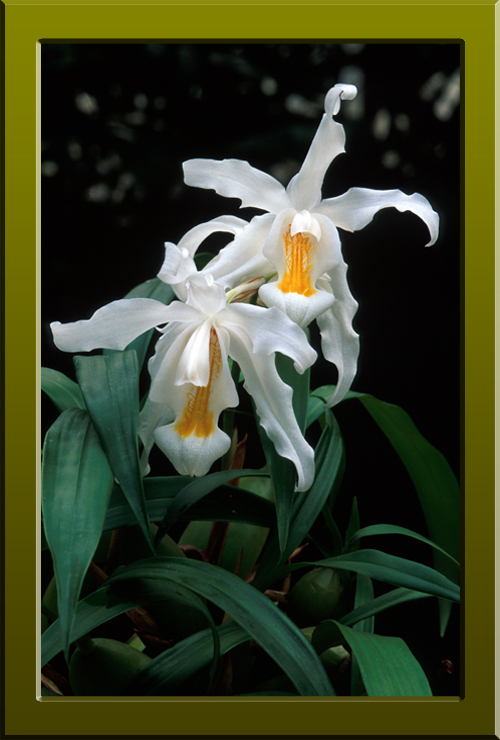 Coelogyne cristata (Orchidaceae) a stunning orchid native to the Himalayas (Copyright © 2010 Peter Martin Rhind).